Danton O’Day has sent a message that he has come across some information revealing that Orlando Greenwood, a well-known British artist, has illustrated specific quatrains from FitzGerald’s first version of the Rubaiyat. Most likely these pictures were not published, since they were done around the start of WWI, but there may be several copies of them out there. If someone has some of these or if they have any other information about them, please let him know (email: danton.oday@utoronto.ca). Rubáiyát of Omar Khayyám. [Translated by Edward FitzGerald; decorated by william Morris]. London, Folio Society, 2018. 23 pp. This edition of The Rubáiyát of Omar Khayyám is a facsimile of British Library Add MS 37832, created in 1872. It employs the translation of Edward Fitzgerald, first published in 1859. It was calligraphically written by William Morris and decorated by him with painted and illuminated borders. The figures in the borders were designed by Morris and Sir Edward Burne-Jones, and were painted by Charles Fairfax Murray. Frank Unger illustrates the Rubaiyat of Omar Khayyam, 1906.Danton O’Day. Emeritus Books, 2018. 96 pp. ISBN 978-0-46-471984-7. The watercolours in Unger’s original volume are bound in Moroccan leather that is gilt-embossed with an artistic rendering of the title, „Rubáiyát of Omar Khayyám“, plus gilt corner designs on the front and back covers—a design incorporated into this new softcover offering. An Introduction to Unger’s book and A Look Back at Unger’s Contribution put his work into context dealing with issues such as how the artist put his personal spin on FitzGerald’s translations. 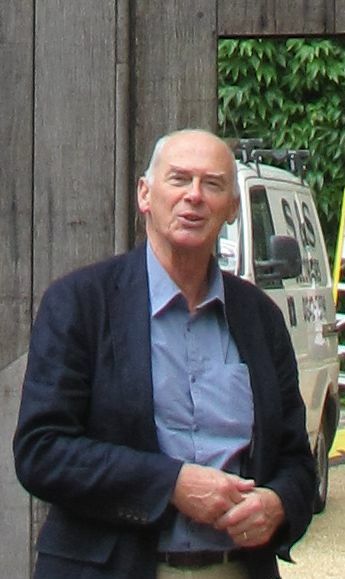 Omar Chayyam. Vierzeiler.Übersetzt von Adolf Friedrich Graf von Schack. [Edited by Karl-Maria Guth]. Berlin, Contumax – Hofenberg, 2018. 88 p. ISBN: 978-3-7437-2477-8. 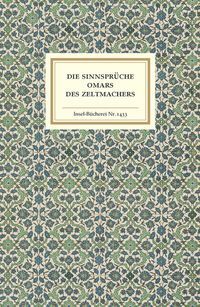 Reprint based on the 1878 edition by Von Schack. 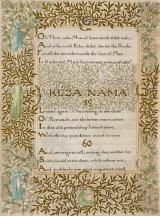 Rubáiyát of Omar Khayyám.Rendered into English verse by Edward FitzGerald. With drawings by Edmund J. Sullivan. Norwalk, Easton Press, 2018. 320 p.
De luxe edition. Reprint of the first edition, 1913 publiahed by Methuen & Co., London. Printed on archival quality paper. All edges gilt, and issued in a slip case, with title and ornaments in gold. Omar Khayyam Rubaiyat. With paintings by Gizella Varga Sinai. Compiled by Németh Ágnes. Budapest, Kossuth Kiadó, 2018. [Unpag., ca. 117 pp.] ISBN: 978-963-09-9198-8. Selection of 60 quatrains; English by Edward FitzGerald, Hungarian by Szabó Lörinc and Persian version by Sadeq Hedayat. Illustrated throughout in full page colour illustrations by Gizella Varga Sinai, with page ornaments by Afshin Najafzadeh. Introduction by Pouran Boroumand. A new issue of Omariana, nr. 5 (2018) is now available. As usual you will find new books, recent articles and more. A new issue of Omariana, nr. 4 (2017) is now available. As usual you will find new books, recent articles and more. 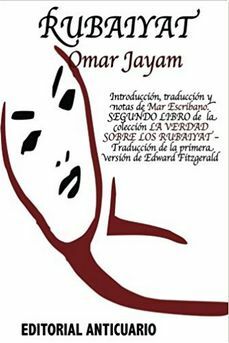 Los Rubaiyat de Omar Jayam. 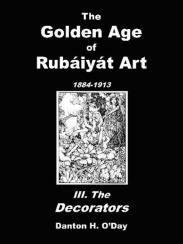 Segundo libro de la colleción: La verdad sobre Los Rubaiyat. Introducción, investigación y versión al español de la primera versión al inglés de Edward FitzGerald. Mar Escribano. Editorial Anticuario, 2017. 92 p. ISBN: 9781547094875. 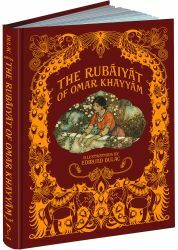 The Rubáiyát of Omar Khayyám. Rendered into English verse by Edward FitzGerald. With illustrations by Edmund Dulac. Mireola, Calla Editions, 2017. 160 p. ISBN: 9781606601129. Republication of the edition published by Hodder & Stoughton in 1909. Hardback. Reprint of the 1929 edition by Insel Verlag. Included are five illustrations taken from the 1872 edition by William Morris. With Erläuterungen und Nachwort by the translator. 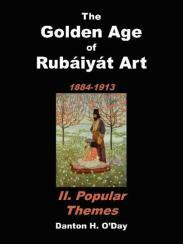 Rubaiyat of Khayyam: In Farsi with English Translation. Reza Nazari (Creator),‎ Somayeh Nazari (Creator). CreateSpace, 2017. 92 p. ISBN: 978-1547000517. 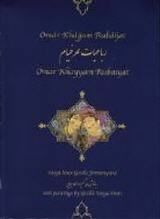 Rubaiyat of Omar Khayyam in Persian and translations in English. This bilingual book can be useful for students and enjoyable for poetry lovers of any age. 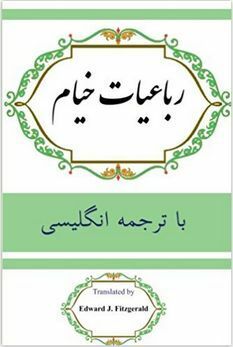 Not only will poems improve your Persian language, but they’ll help your understanding of Persian culture. Students will have ample opportunities to enrich their Persian learning experience. 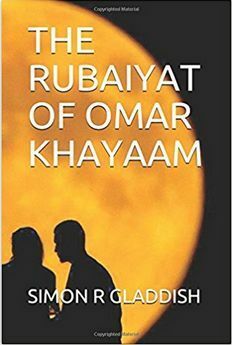 A new rhyming version of Robert Graves’ translation of The Rubaiyat Of Omar Khayaam. Also available as Kindle Edition. 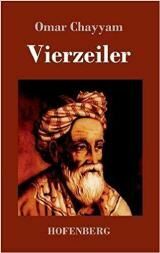 Available as hardback and eBook.This book, first published in 1931, shows in a simple, sound and lucid manner how the genius of two poets (Omar Khayyam and FitzGerald) brought together by the genius of an Orientalist (Professor Cowell) culminated in a very strange, very beautiful and profound English poem. 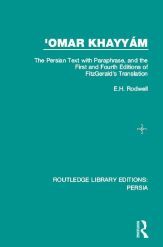 This book is concerned with the genuineness of the verses ascribed to Omar Khayyam, and consists of a comparison of the original Arabic, a paraphrase, and FitzGerald’s first and fourth editions. 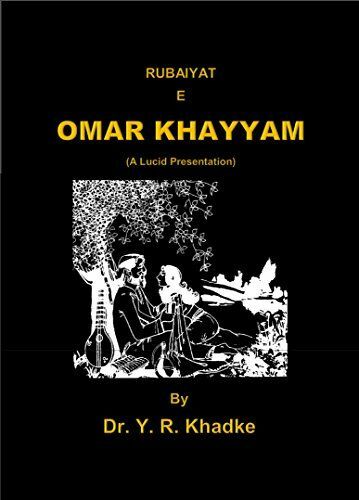 Rubaiyat e Omar Khayyam (A lucid presentation) by Y.R. Khadke. Published by S.V. Sarmukadam, Pune. No year given. Available as Kindle eBook.Khadke’s attempt to elucidate FitzGerald’s translation of the Rubáiyát, by rephrasing the text and comtemporizing the idiom. A new issue of Omariana, nr. 3 (2017) is now available. As usual you will find new books, recent articles and more. The Nederlands Omar Khayyám Genootschap (Dutch Omar Khayyám Society) is planning an Omar Khayyám Research Day, May 27, 2017. The event will take place in Leiden, in co-operation with Leiden University and Iran Netherlands Trade and Cultural Center. 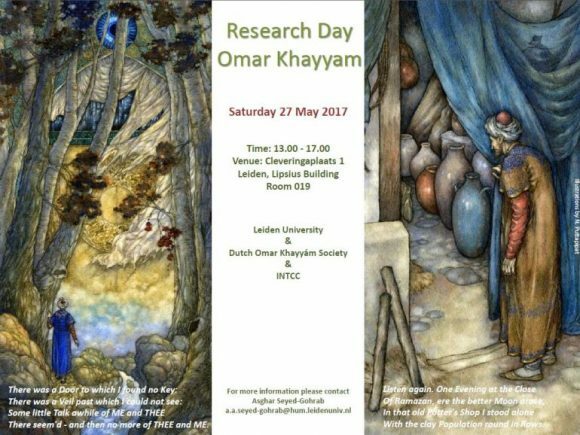 For more details on time and location, see the poster, or contact Asghar Seyed-Gohrab on a.a.seyed-gohrab@hum.leidenuniv.nl. The 8 x 10” hard-cover books are printed on photo-quality paper with a full colour printed cover. 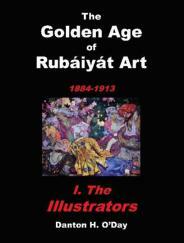 The lavishly illustrated books contain photos not available since their first publication, two new artists, charts and tables, and more. 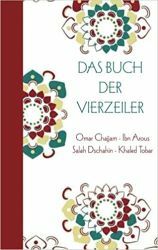 The books are available from Blurb Bookstore.